OXFORD, Miss. 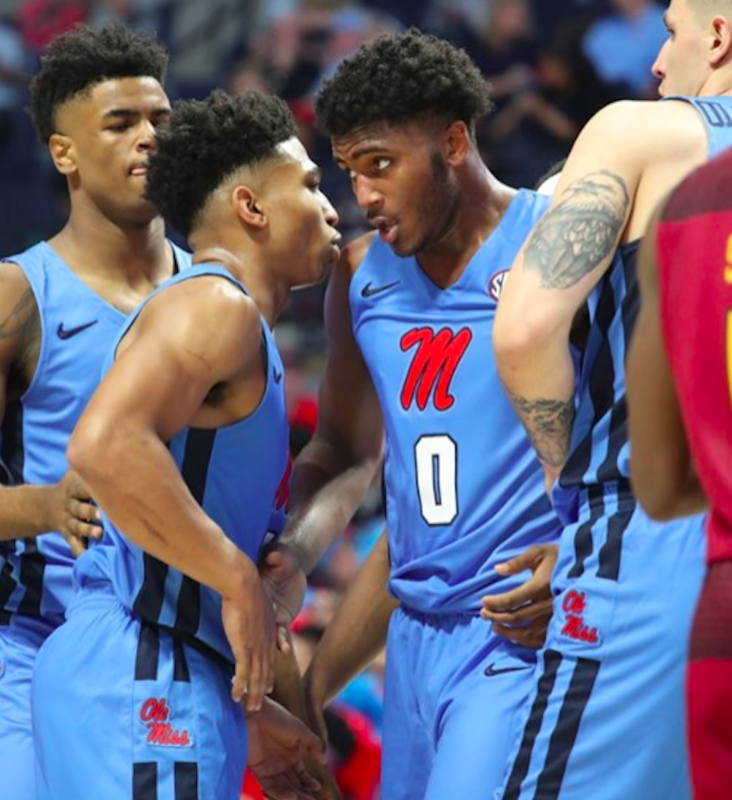 — On a sunny Saturday afternoon in Oxford, the Ole Miss men’s basketball team, wearing new powder blue uniforms, easily handled the Louisiana-Monroe Warhawks, 83-60. This was the Rebels 13th straight defeat over the Warhawks dating back to the 1998 season. 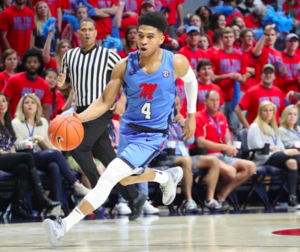 ULM (3-4), who entered the game following a 80-52 blowout win on the road this past Tuesday against their in-state foe, Northwestern State, brought four players into The Pavilion at Ole Miss who each have been averaging double-digits in scoring the first six games. Against head coach Kermit Davis’ fundamentally sound Rebel defense, however, ULM’s Travis Munnings was the only Warhawk who mustered double digits, scoring 17 points. Other than that, not much fell for the Warhawks’ offense. Coach Davis was obviously pleased with his team’s efforts in the win. “I thought we beat a very well-coached Monroe team, very athletic,” Davis said. “Obviously, our size was the difference and we played inside out. We moved the ball extremely well, 25 assists on 33 made baskets, that’s about as good as you can get,” he added. For Ole Miss (5-2), it was Breein Tyree who notched the most points Saturday with 20, while Blake Hinson scored 17 and Terence Davis notched 15 to help guide the Rebels to the win. 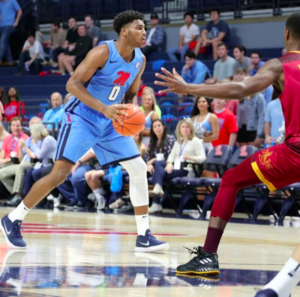 The Rebels, with help from balanced scoring all over the lineup, went up very quickly and never looked back as they had already secured a double-digit lead just six-and-a-half minutes into the contest. In fact, it was Hinson, a freshman out of Deltona, Florida, who contributed most to the Rebels’ hot start. The 6-foot-7 newcomer tallied 14 points in the first half on 5 for 7 shooting. This came on the heels of his career-high 15-point performance last Wednesday against San Diego. If it wasn’t for a third personal foul early in the second half on a steal attempt, Hinson likely would’ve added more to his final numbers. Bruce Stevens and Tyree also had efficient first halves as they shot a combined 7 for 10 from the floor to give the Rebels a 44-31 lead at the midway point. 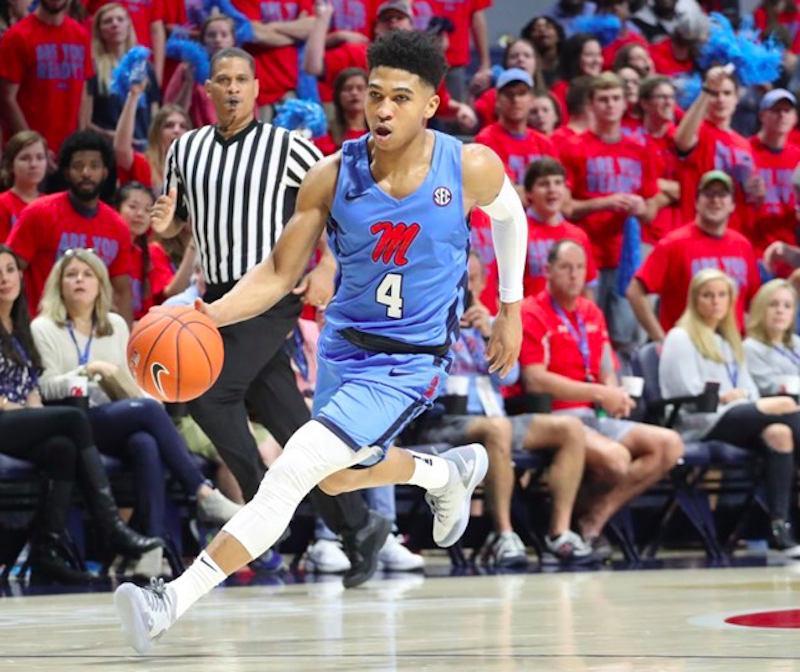 One of the more impressive stats from the game is that most every Rebel who touched the court made his presence felt, as Ole Miss notched 25 assists (across 10 players) on 33 made baskets. Coach Davis’ emphasis on sharing the ball and finding the right shot is noticeably ingrained into his players and they’re making use of that philosophy. “It’s just what we’ve emphasized,” Coach Davis said of his team’s assists. After the halftime break, Breein picked up where he left off, drilling two three-pointers within a minute to extend the margin. In the second half, Ole Miss shared the ball and took good shots, especially in the paint, where the Rebels scored 36 in the game. 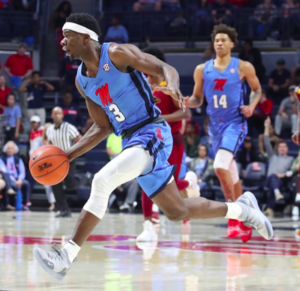 Ole Miss’ high energy and slight size advantage allowed the Rebels to somewhat bully the Warhawks on the boards throughout the game as Ole Miss dominated the rebounding column, 41-24. Our Rebel Walk player of the game is Blake Hinson. His high energy was felt all over the court Saturday as he finished the game with 17 points, a new career-high. Hinson also grabbed three rebounds and picked up four assists even as he played with four fouls. After the game, Coach Davis commented on his talented freshman. Ole Miss will enjoy a substantial six days off before heading to Normal, Illinois to face the Illinois State Redbirds. The Redbirds have been tested against big-name opponents, including wins over BYU, Boise State, and Akron—as well as a close defeat to another SEC team, the Georgia Bulldogs. The game will be televised on NBC Sports Chicago and will tip-off at 7:00 p.m. (CT). Archie has been an Ole Miss fanatic since day one. Born in Denver, Colorado, he has a passion for everything Ole Miss and loves to be part of the great gameday experience. He is currently a freshman at the University of Mississippi and is studying the field of Journalism and Law. Archie played football in high school and also has extensive knowledge of all things college athletics.